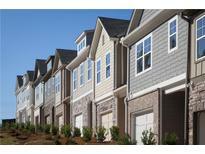 Below you can view all the townhouses for sale in the Longview Walk subdivision located in Decatur Georgia. 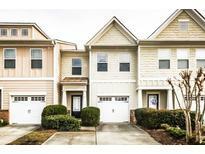 Listings in Longview Walk are updated daily from data we receive from the Atlanta multiple listing service. To learn more about any of these townhouses or to receive custom notifications when a new property is listed for sale in Longview Walk, give us a call at 404-620-2105. 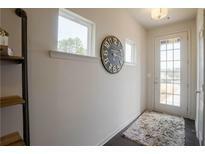 Brand New Carpet, All Black Matching Kitchen Appliances With Built In Microwave, Fenced In Backyard Is Perfect For Small Children Or Family Pets, One Car Garage With 2 Car Parking Pad And Additional Parking Designated Across The Street. MLS#6528827. Palmerhouse Properties. Photographs Are Of Similar Staged Floorplan MLS#6521071. On Point Realty, Inc..
Photographs Are Of Similar Staged Floorplan MLS#6521095. On Point Realty, Inc.. The Master Bedroom Is On The Main Level With An Large Master Bathroom With A Double Vanity And A Glass Shower Overlooking A Garden Jet Tub. MLS#6521067. Jar House Llc. Hurry This One Will Go Fast! MLS#6128551. Re/Max Advantage. 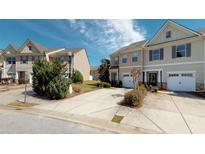 Photographs Are Of Similar Staged Floorplan MLS#8503612. On Point Realty, Inc.
Beautiful 3 Bedroom 2.5 Bath End Unit, Carpet Thru - Out, Cozy Fireplace, Spacious Rooms, Walk In Closet, Master Has Separate Shower And Tub, Kitchen/Dining Room Combo! Must See! MLS#6106183. Re/Max Advantage. Photographs Are Of Similar Staged Floorplan MLS#6083260. On Point Realty, Inc..
Photographs Are Of Similar Staged Floorplan MLS#6083270. On Point Realty, Inc..
Beautiful 3 Bedroom 2.5 Bath, Carpet Thru - Out, Cozy Fireplace, Spacious Rooms, Walk In Closet, Master Has Separate Shower And Tub, Kitchen/Dining Room Combo! Must See! MLS#6077784. Re/Max Advantage. Nice Size Secondary Bedrooms. Must Come See! MLS#6076131. Palmerhouse Properties.